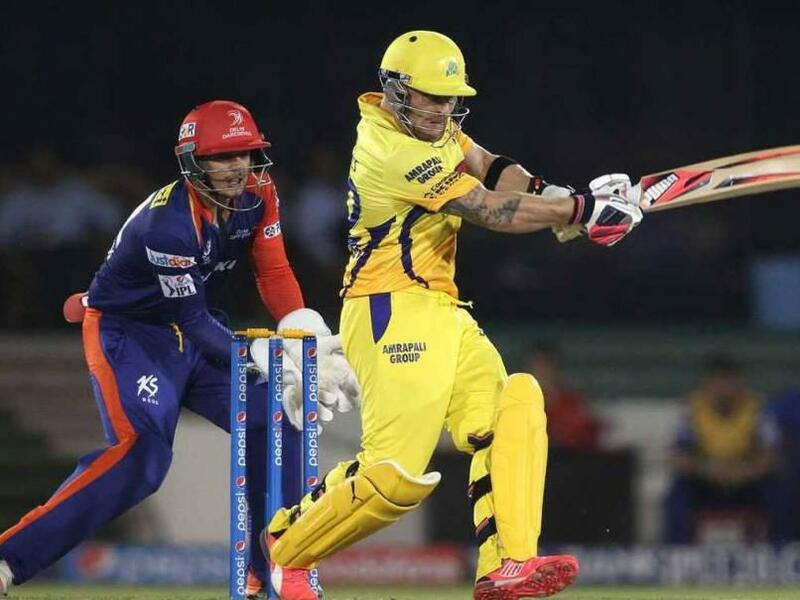 The Delhi Daredevils stunned the table toppers Chennai Super Kings in low scoring game at Raipur with a terrific all round performance to create an upset. It was Zaheer Khan's experience and talent that injected power for the Delhi camp early on and later it was Shreyas Iyer's bravado which helped the Delhi camp emerge victorious over the heavyweights Super Kings by a margin of six wickets. MS Dhoni won the toss and elected to bat first on a deck which was slow and had grass on it. The decision did not favour the Super Kings even by a slight margin, as Shahbaz Nadeem initiated the proceedings for the Dardevils by a maiden over. It was followed up by another tight over by Zaheer Khan who gave away merely a run. It was a highly contradictory start with the belligerent pair of Dwayne Bravo and Brendon McCullum on the crease, but to the disappointment of the Super Kings, there was no respite. Only 16 runs came in 6 overs and along with it the big scalp of McCullum who fell prey to Zaheer Khan. With overs passing by, and the run flow perpetually low since the very first ball, it was but obvious that the score board pressure would heap upon the batting side. This is what exactly happened and the 8th and 9th over saw, Smith and middle order batsman Raina returning to the pavilion as the Super Kings looked in immense trouble 46 for 3 at the close of 10 overs. Situations seemed to be just good enough with Faf and Dhoni on the crease, doing the arduous task of stabilising the shaken innings but in came Albie Morkel who claimed his second wicket by bowling over Faf du Plessis. With wickets falling at regular intervals and the Daredevil's bowlers bowling some exemplary spells, the run flow was deflated and restricted to a minimal possible level. MSD looked to charge some heavy blows but Nadeem cleared him too and Chennai were reeling at 110-6 in 18 overs, with a bit too much of work left to be done in two overs. The Daredevil's bowlers did not allow the Men in Yellow to resurrect in any which way, and only gave away 9 runs in the last 2 overs as Chennai only had 119 on the board to challenge the Delhi camp. Zaheer Khan showed glimpses of his earlier golden days, and ended up with splendid figures of 4-1-9-2. Shahbaz Nadeem did well for the trust shown on him by his inclusion in the team and Dumminy marshalled his troop well enough to dominate in the entire first innings. Chasing a low total, the game was mostly in Delhi's kitty unless Chennai produced a miracle with the ball and in their fielding too. It all happened the way it was expected to and it was powered by a well constructed knock coming out of the bat of the emerging young star Shreyas Iyer. Ishwar Pandey grabbed a couple of wickets early on and giving a faint chance of a miracle, but it was Iyer who showed his class and potential bolstering an array of beautiful strokes against a quality bowling attack. Yuvraj Singh contributed significantly scoring 32 runs off 28 deliveries essaying a flurry of boundaries and a biggie, after Delhi had lost skipper Dumminy and de Kock for 6 and 3 respectively, early on in the innings. From then on it was a Shreyas Iyer carnage all over the Chennai camp who paid the price of dropping him earlier. He amassed 70 runs off just 49 balls, striking 10 4s and a 6 and remained not out as Delhi won by 6 wickets with 3 overs and a couple of balls to spare. Zaheer Khan bagged the Man of the Match award for his amazing and economical figures. The Chennai faltered against a disciplined bowling attack on a slow pitch which cost them the match and it was a complete shock which the Daredevils gave Chennai in this encounter. 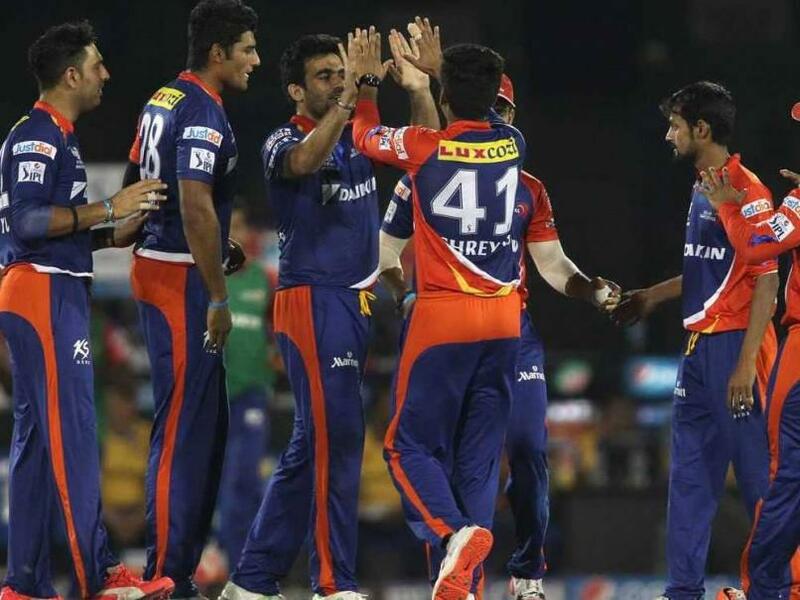 The Delhi Daredevils stunned the table toppers Chennai Super Kings in low scoring game at Raipur with a terrific all round performance to create an upset.